This little meadow is tucked away just beyond the Park’s entrance gate by Polebridge in the North Fork. A short walk through stands of small lodgepole pines reveal the meadow. 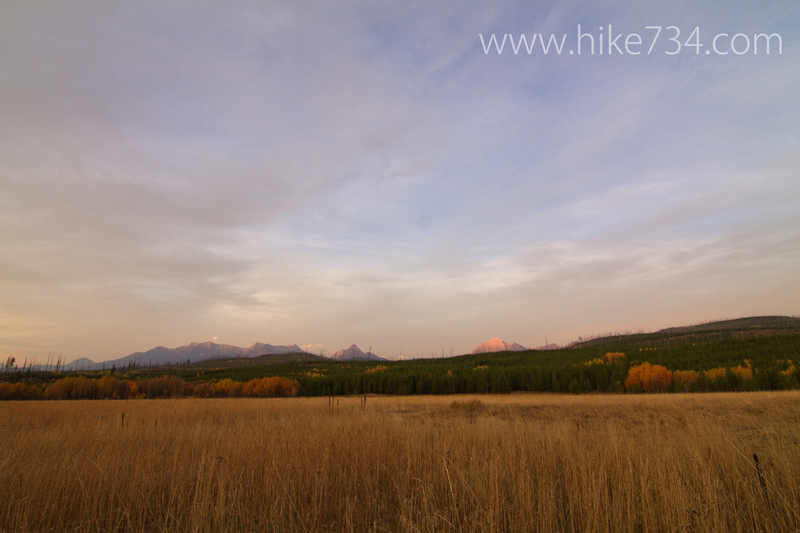 The towering peaks of the Livingston Range make for a wonderful backdrop. 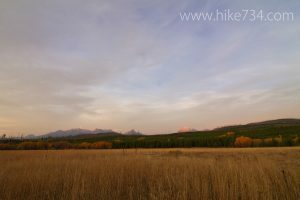 This route is primarily used as a ski/snowshoe route in the winter, but is a nice summer trail. Trailhead: After coming through the Polebridge entrance, take a right onto the Inside North Fork Road. Trailhead parking is immediately to your left. Take the Hikes with You! Get your free "10 Insider Tips for Glacier"
and a sweet newsletter direct to your inbox!